The NEW rhythm in sleep. AirAvant Medical proudly introduces the Bongo Rx, the next leap in sleep therapy. Is Bongo Rx right for you? With its soft nasal seals, the Bongo Rx is easy to use, requires no power, and is perfect for traveling. 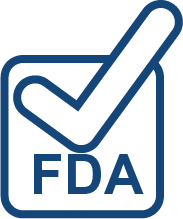 Bongo Rx is a FDA cleared, prescription device for treating mild to moderate obstructive sleep apnea (OSA). 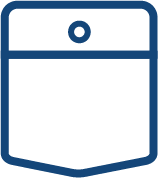 Bongo Rx is reusable and is small enough to fit in a shirt pocket so patients can use it……anytime, anywhere. Use it anytime, anywhere – at home, traveling, camping, or just napping on the couch. The small size of Bongo Rx, makes it discreet and convenient and there is no assembly or disassembly of the device in order to use it. The soft and comfortable device is easy to apply and use, even in the dark, therefore, there is no need to remove it when getting up in the middle of the night to use the restroom. The Bongo Rx device is offered in various sizes to assure your preferred fit while treating your mild to moderate obstructive sleep apnea (OSA). No Machine or Hoses are required. Small size makes Bongo Rx discreet and convenient. Use it anytime, anywhere. Bongo Rx requires NO POWER, so it’s perfect for outdoor adventures and camping trips. 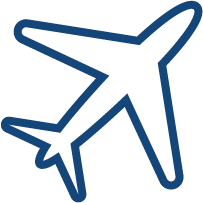 Airplane Travel just got easier with Bongo Rx. Transports easily in your pocket. No need for extra carry on luggage. How does Bongo Rx work? The innovative Bongo Rx is a simple device that has soft nasal seals to form a seal within the nasal openings. During inhalation, small valves open to allow you to breathe normally through the device. During exhalation, the valves close directing exhaled air through specifically designed vent holes to generate EPAP (Expiratory Positive Airway Pressure), which props open the patient’s airway until you inhale again. 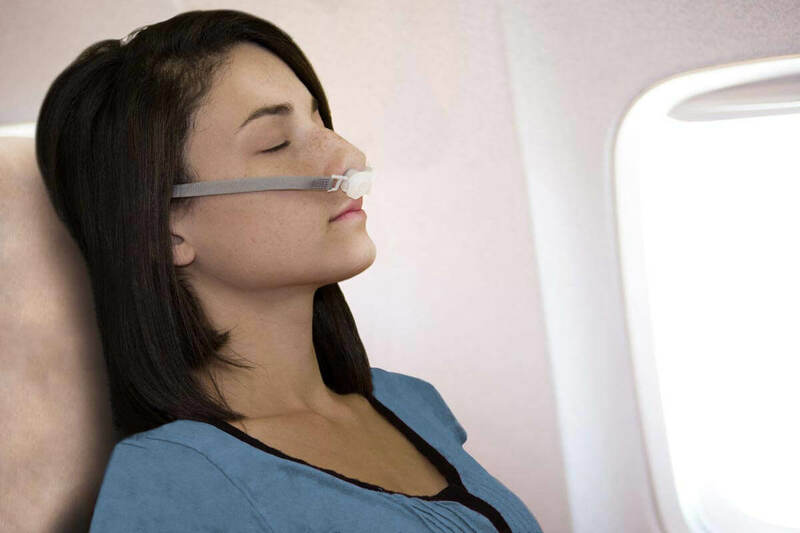 Patients with obstructive sleep apnea experience the collapsing of the airway during sleep. This causes a decrease or stop in airflow during sleep, despite an ongoing effort to breathe . 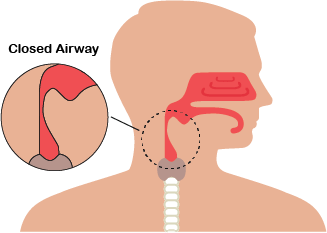 During exhalation, exhaled air is directed through specifically designed vent holes to generate EPAP (Expiratory Positive Airway Pressure), which props open the patient’s airway until you inhale again. If you have any questions about the Bongo Rx or AirAvant Medical, please feel free to use the contact form and we will get back to you directly. We look forward to hearing from you.